Skeleton Technologies, an energy-storage start-up located in Tartu, Estonia, receives a US patent for breakthrough supercapacitor material. US patent No. 7,803,345 was granted for the nanoporous carbon powder developed by the researchers at the company. Spreadtrum Communications, Inc. and TSMC unveiled their achievement on the first commercialized 40nm Time Division - Synchronous Code Division Multiple Access (TD-SCDMA) baseband processor. Altair Nanotechnologies, Inc. (Altairnano) announced it had been awarded a firm contract with the Hawai'i Natural Energy Institute (HNEI) of the University of Hawai'i at Manoa to supply a one-megawatt ALTI-ESS energy storage system for a test of wind energy integration. 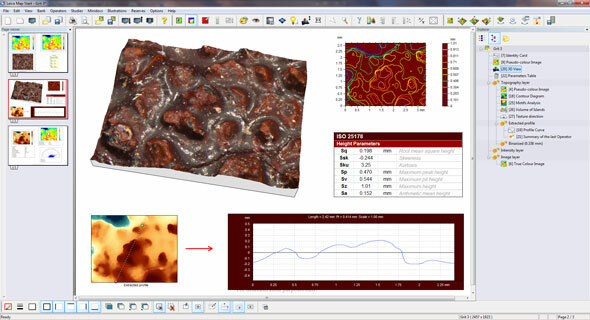 Leica Microsystems and Digital Surf announced the signature of an agreement whereby Leica Map surface imaging and metrology software based upon Digital Surf's Mountains Technology will be used with the Leica Application Suite (LAS) for Leica industrial microscopes. Philips Ledalite's unique LEDLOGIQ design approach features MesoOptics holographic nanotechnology, which makes spaces more visually comfortable by optimally blending light and color, controlling high angle glare and creating a precise batwing distribution, while concealing the light source. Arkema and CEA teams from INES (Institut National de l'Energie Solaire) have joined forces to create in France the first private/public mixed research laboratory dedicated to the development of polymer materials for the various photovoltaic module technologies. Asylum Research, the technology leader in scanning probe/atomic force microscopy (AFM/SPM), is offering a Bimodal AFM Tutorial on March 13, 2011 in conjunction with the 3rd Multifrequency AFM Conference in Madrid, Spain, March 14-15. Sol Array, LLC is broadening its collaboration with China National Building Materials Group (CNBM), one of China's fortune 500 companies and top producer for building materials, to enhance its effort for CIGS commercialization. CAMECA, a world leader in scientific instrumentation and metrology solutions for semiconductor labs and fabs, has unveiled the latest addition to its line of high-end metrology systems - the EX-300 metrology tool targeted for front-end process control of 22 nm technology nodes and beyond. Nanoco Group plc announces today its intention to raise gross proceeds of up to GBP15 million through the issue of up to 16.7 million new ordinary shares of 10 pence each, representing approximately 8.85 per cent of the existing Ordinary Shares of the Company. Nanoco Group plc, a world leader in the development and manufacture of cadmium-free quantum dots, announces the successful commissioning of the production lines at its new facility in Runcorn, Cheshire. As leading pharmaceutical companies continue to explore the benefits of continuous manufacturing and bottom-up nanoparticle creation, Microfluidics has rebranded its innovative MRT nanoparticle creation technology as the PureNano platform, featuring the PureNano Continuous Crystallizer. 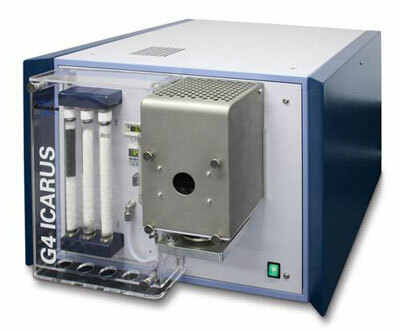 Bruker announces the launch of the all-new G4 Icarus CS HF, the premier metal analyzer for assessing carbon and sulfur content. Alexium is announcing the development and commercial roll-out of its Cleanshell textile treatment process, an advanced process for water- and oil-repellent treatment of textiles. Designtex continues its commitment to extreme performance and environmentally friendly textiles, as the first company in the U.S. contract market to add Schoeller Technology's NanoSphere to its repertoire of textile finishes. Argonne National Laboratory has licensed its cathode technology to Envia Systems, based in Newark, Calif. The deal marks the fifth licensing agreement for the Argonne-developed cathode technology.